So, I happened to find this sitting on a shelf and couldn't help but wonder what was in the package. 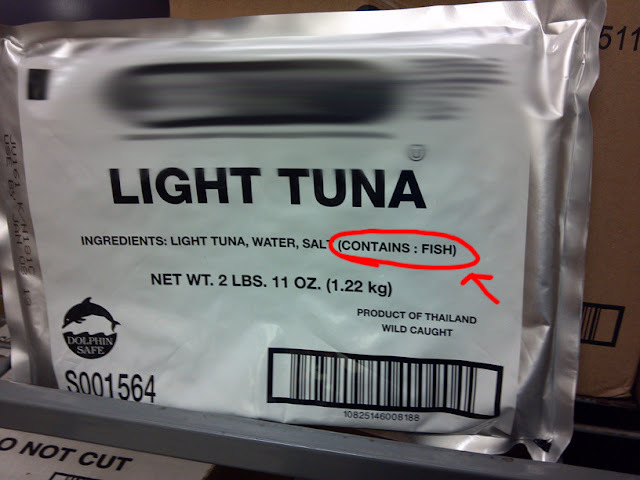 Thank god someone took the time to write it, or I might still think the package contained glitter and horse meat to this day. Well you know they wrote that for Jesssica Simpson. "Is this chicken, that I have, or is this fish?"